Dressed as a veiled princess, Lady Diana Lawrence is shocked to discover that the mysterious corsair who tempts her away from the costume ball is the duke she once loved and lost. Now ensconced with Castleton at a remote lodge, will she surrender to the passion still burning hotly between them? "Hunter's effortlessly elegant writing exudes a wicked sense of wit." 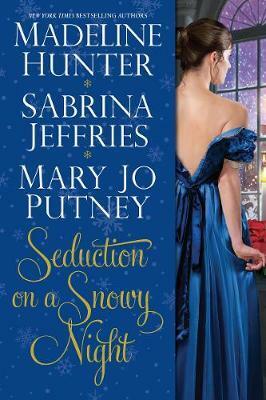 --Booklist "Anyone who loves romance must read Sabrina Jeffries!" --Lisa Kleypas, New York Times bestselling author "Putney's books are the literary equivalent of catnip to historical romance fans." MADELINE HUNTER is a New York Times bestselling author with more than six million copies of her books in print. She has more than 30 nationally bestselling historical romances in print, including most recently, A Devil of a Duke, The Most Dangerous Duke in London, The Wicked Duke; Tall, Dark, and Wicked; and His Wicked Reputation. A member of RWA's Honor Roll, she has won the RITA Award twice and been a finalist seven times. Her books have appeared on the bestseller lists of the New York Times, USA Today, and Publishers Weekly, and have been translated into thirteen languages. She has a PhD in art history, which she has taught at the university level. Madeline loves to hear from her readers, and can be reached through her website at www.madelinehunter.com, on Facebook, www.facebook.com/madelinehunter/, and at twitter.com/madelinehunter. SABRINA JEFFRIES is the New York Times bestselling author of more than fifty novels and works of short fiction (some written under the pseudonyms Deborah Martin and Deborah Nicholas). Whatever time not spent writing in a coffee-fueled haze is spent traveling with her husband and adult autistic son or indulging in one of her passions--jigsaw puzzles, chocolate, and music. With over nine million books in print in more than twenty-one languages, the North Carolina author never regrets tossing aside a budding career in academics for the sheer joy of writing fun fiction, and hopes that one day a book of hers will end up saving the world. She always dreams big.